The German know how to do it, when to do it and which bands to do it with. 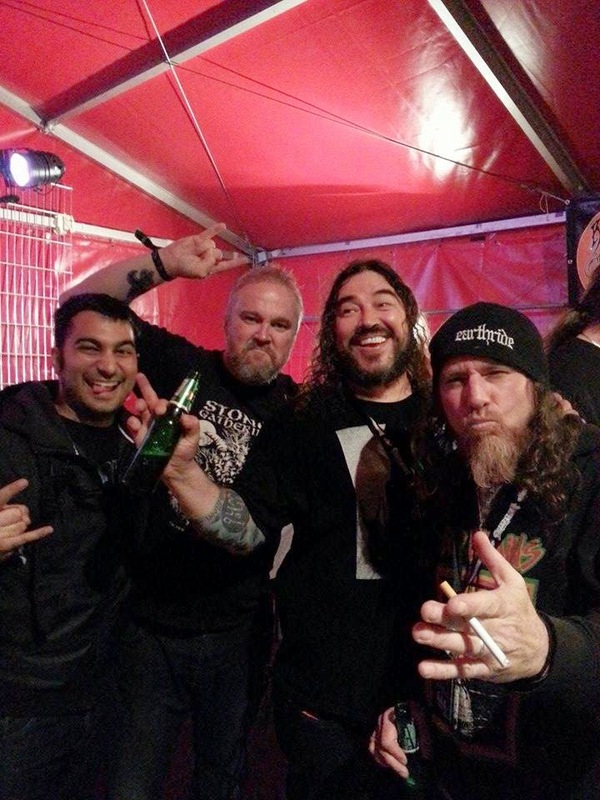 DesertFest Berlin was the first stoner/ rock festival I have been and I believe it is not going to be my last. My first apperication of the festival was how organized it was. There were about 33 bands and the desert rock fuzz was non-stop.I observed that each and every band gave their %120 when they played live. The sound system was really good and you could hear everything clearly. Adding to all things above the vibe was also great, people came and gathered for a fine taste of music. First day of DesertFest Berlin. I think I arrived pretty early. The weather was great all the time so there were lots of people hanging out. These guys are beasts on stage!! and buy as many cd's as I could before I forget any of these rocking guys.These riffs can lighten any dark day by their glows. Sixty Watt Shaman was unexpectedly heavy and straightforward rock'n roll. I loved how heavy they played. Sadly I was not able to get one of their DesertFest posters. The surprise band of the first day was ASG. The intermingling of vocals and guitars just blew my mind. As for the Spirit Caravan what can I say for the legendary Wino? They were simply awesome. The second day of DesertFest was the day I came prepared. I entered the merchandise tent and bought as many merchandise as I could. I also met with Ammo at the merchandise shop and looked at his posters. He is a great artist and now two of his works are hanging on my wall. The day started with nice jam of Red Stoner Sun whom I bought a cd later. I liked how fluid the riffs were. And then I came across The Moth. I heard from Clint and Anja that they were excellent. I was only able to listen a couple of songs and now The Moth will be touring with Conan so get the idea of what I just missed! Black Rainbows had the main stage so I quickly went there and were faced with Desert riffs all over the place. You could literally smell the heat of the desert as they played their songs. I also listened Gozu at the main stage. I am really impressed by their style of stoner rock and guitar solos. Then it was the time for the samurai warlords of Church of Misery. I have to admit for the most of the bands I did not know what to expect but as for Church of Misery but man did they blew my mind!!! You see this smiling Japanese guy in the pictures next to me? Well he turns into this magnificent beast on stage and you won't be able to recognize the guy when he rocks out on the synth. So after this monster of a riffage I had get out and get a drink and rest. As I was relaxed by the calming riffs of Danish Causa Sui , Kvelertak, Elder and Mantar ascended from hell to stomp on the top of the DesertFest to make some real noise. Kvelertak were serious punk/black metal , if they were given time they would surely destroyed all of the stage. Mantar was a surprise band for me because they were half Turkish and half German. Their sound reminded me of Godflesh mixed with sludge due to some effects they used. Exhausted, I went back to HerBerge Rock'n Roll Hostel where I stayed around 3 a.m. The best band apart from Clutch was Ed Mundell's project The Ultra Electric Mega Galactic. The guitar riff and the overall song structures were excellent. Ed Mundell's solos and the licks were really catchy and I was lucky that I had the chance of watching Ed Mundell from the front row!! As for Clutch, these are the guys who got me addicted to stoner / desert rock 5 years ago. The first truck I have ever listened that can be considered stoner rock was Electric Worry that I heard on the radio. Now I am addicted to this music. Listening live to Clutch was one hell of an experience! For the end all I can that I am more than happy than I met those excellent musicians and people in Berlin. 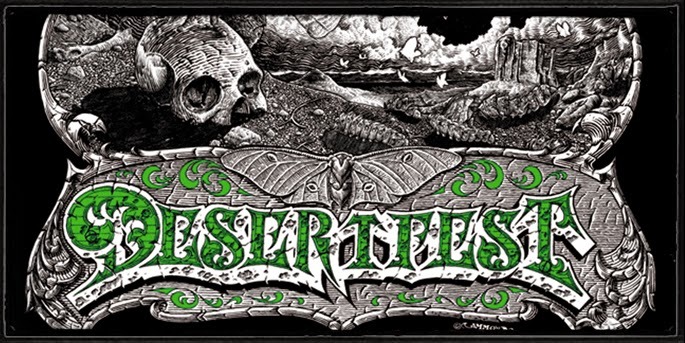 I will definitely advise anyone who is interested in desert rock to come and check DesertFest out. Also please note that I did not know many of the bands that I was coming to see so it was my first time listening to many of them. But I tell you I am happy with the direction that Desert rock is going! OK, enough with me talking. Enjoy the fuzz! Ammo and me from Desertfest.